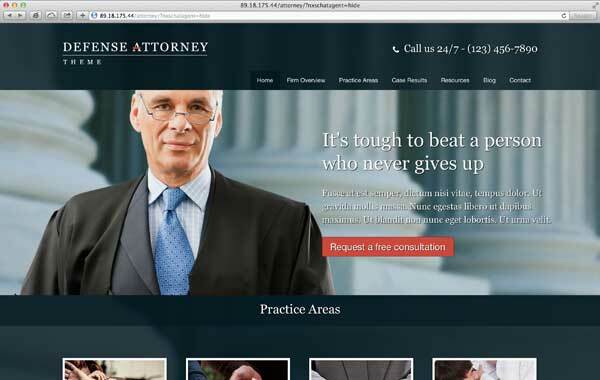 A sleek, professional website built with the Defense Attorney WordPress theme can help clients feel confidence in your law firm's services. Offer visitors access to helpful information and ways to get in touch. 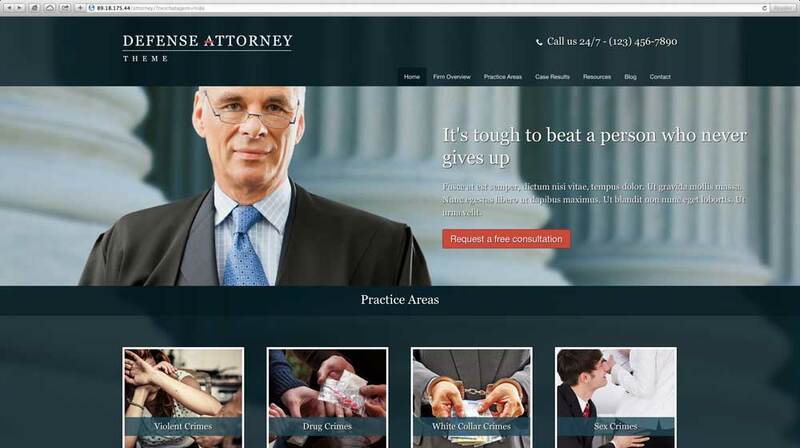 Building an engaging, comprehensive website for your criminal defense law firm is easier than ever when you start with the Defense Attorney WordPress theme. 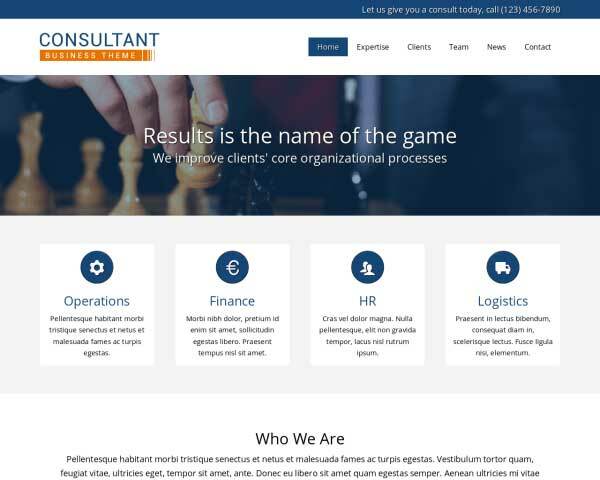 Pages for practice areas, notable case results, client resources and a firm overview are already set up, so you need only add your own text and photos to have a complete website finished in no time. No coding skills are required to customize the color scheme or style text using our unique front-end editing tool. Adjust page layouts by adding or removing rows and rearrange blocks of content with drag and drop widgets. 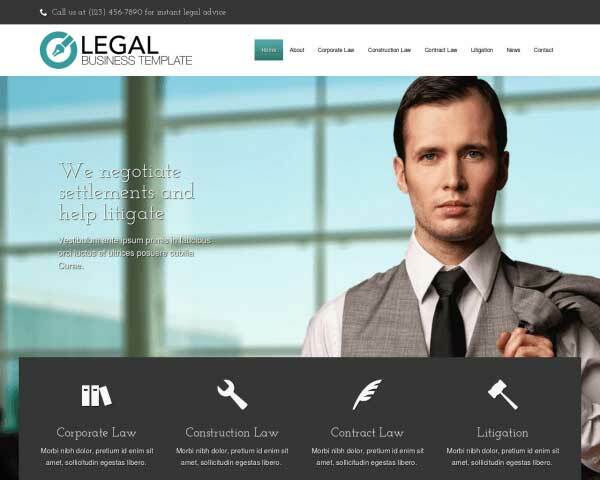 This premium website template for defense attorneys comes packaged with useful features that normally require tedious coding or plugins, such as integrated social media options, built-in contact forms, and sleek, responsive design. We've even included a convenient SEO manager to guide you in optimizing your site for higher search engine rankings, so clients in search of legal representation in your area are more likely to find you. 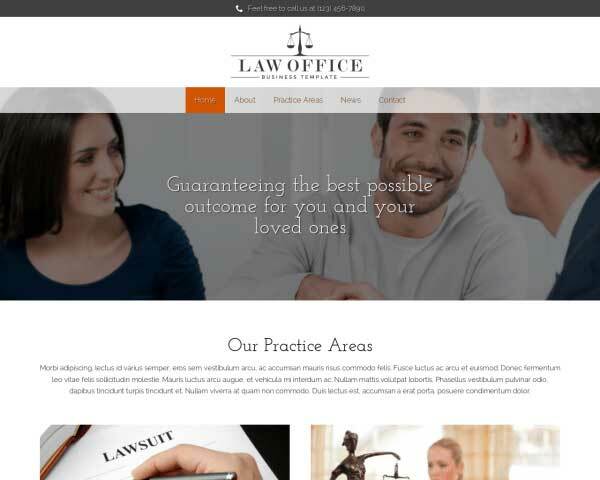 The Defense Attorney WordPress theme helps you raise your law firm's online profile through an attractive, informative website that reflects your level of professionalism. Regularly updating the news and events blog not only keeps your clients and visitors informed, it can help drive traffic to your site and boost rankings. 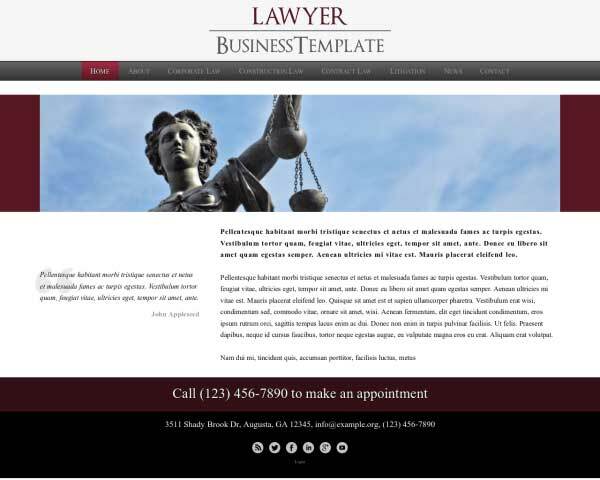 Before creating the Defense Attorney WordPress Theme, we first researched the specific business needs of lawyers. We've built in premium features to help you grow your business online. Don't let your visitors forget why they came to your site in the first place! Encourage them to contact you with call-to-action buttons located throughout the pages of this WordPress theme. 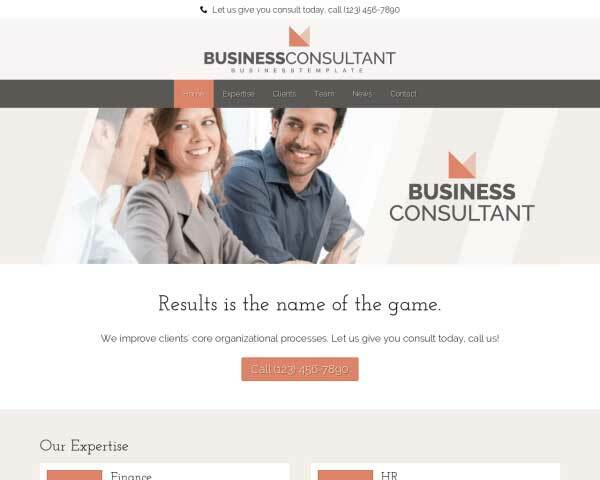 Clear contact details are important for any business, so this template for lawyers includes a feature-rich contact page with an integrated Google map and handy contact form. Offer clients your suggested resources for coping through a difficult time. 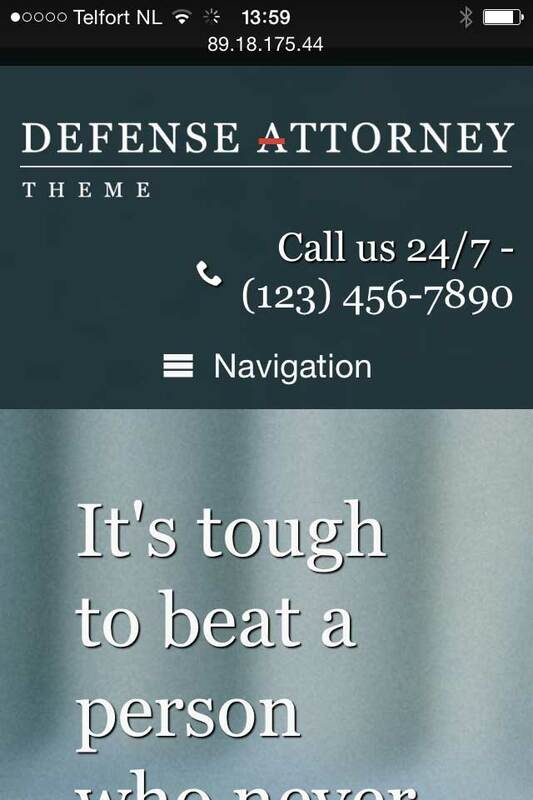 The Recommended page on Defense Attorney WordPress Theme is ready for your text. 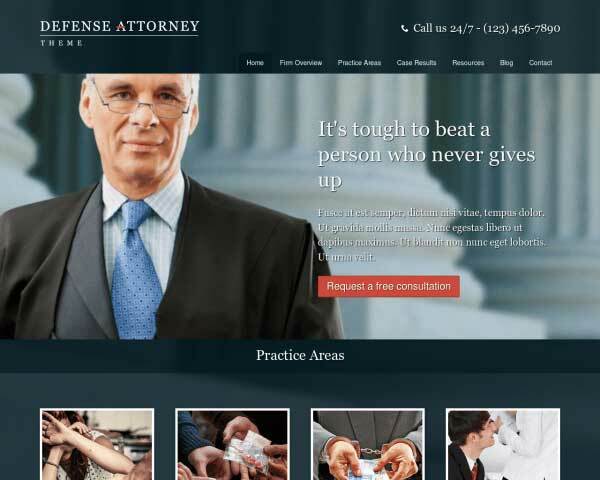 The Defense Attorney WordPress Theme is beautifully designed to offer visitors a wealth of information in an organized manner, while allowing your own character to shine through. 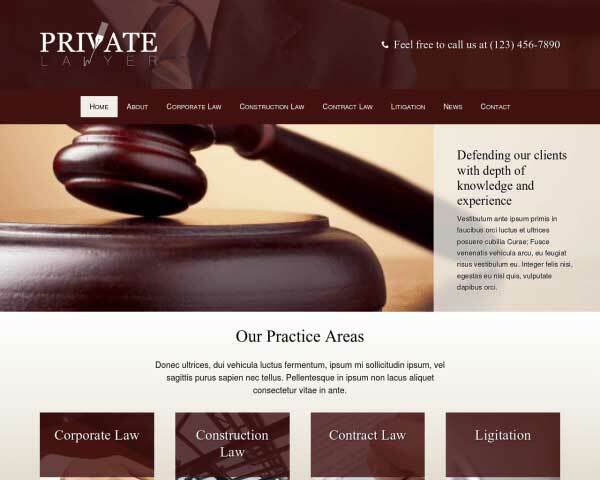 The Defense Attorney WordPress Theme includes individual pages already set up for you to go into detail about each of the services your business has to offer to pique the interest of future clients. Allow your visitors to see an at-a-glance overview of your services, directly from the homepage of the Defense Attorney WordPress Theme. The Defense Attorney WordPress Theme is integrated with popular social media platforms, allowing visitors to easily share your content. Link to your own pages or even display your Tweets! 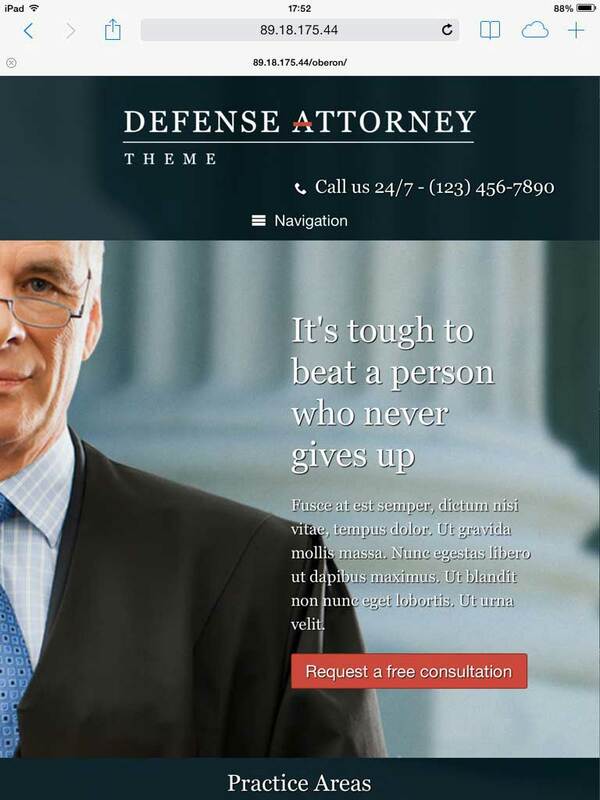 Give the Defense Attorney WordPress Theme a personal touch by introducing each member of your team and sharing your approach to fantastic customer service. Present logos from your professional associations, awards, top brands or magazines that have mentioned your business. Trusted icons promote trust in your business. 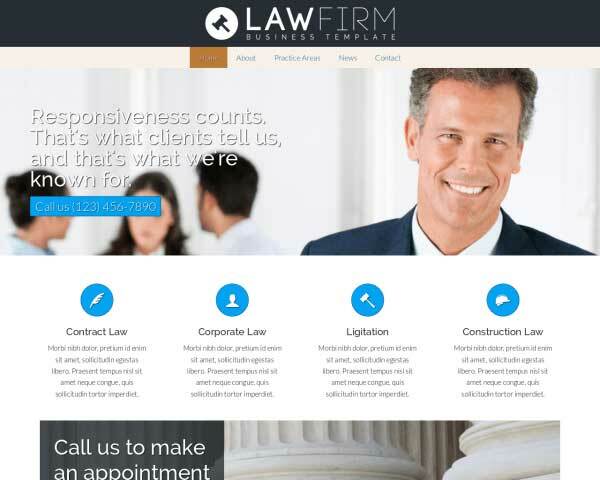 Clients accessing your website via smartphone and tablets will experience the same professional design, neat layout and intuitive navigation of the desktop version when you build your law firm website with the responsive Defense Attorney WordPress theme. Without any additional coding or plugins, its mobile-optimized design will automatically adjust the layout of your content to render beautifully on any screen size, across all mobile devices. Mobile visitors will enjoy the ability to tap on your phone number to dial or tap on your email to open a new draft.